And here I am again ... with more vacation shots. Tons of photos. But hey... enjoy. In case you missed part one- here you go - Click HERE to see it. And just a quick unrelated note - Remember I mentioned my 18-200mm canon lens was dropped and had a boo-boo... well, I sent it to Canon to get repaired and it's back - Looking beautiful and brandy new! I am a happy girl. Which one is your favorite? 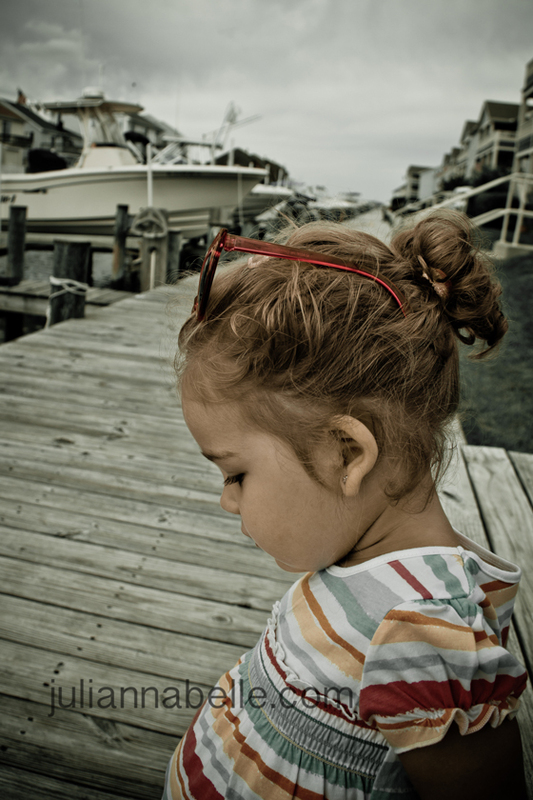 I am partial to the last picture of her squatting down on the boat dock. Daddy & Julianna hugging on a bench by the bayside. I have been trying to work on silhouettes lately. Clearly I still have a lot of practice to do! But... it's fun to play around with the shutter speed. 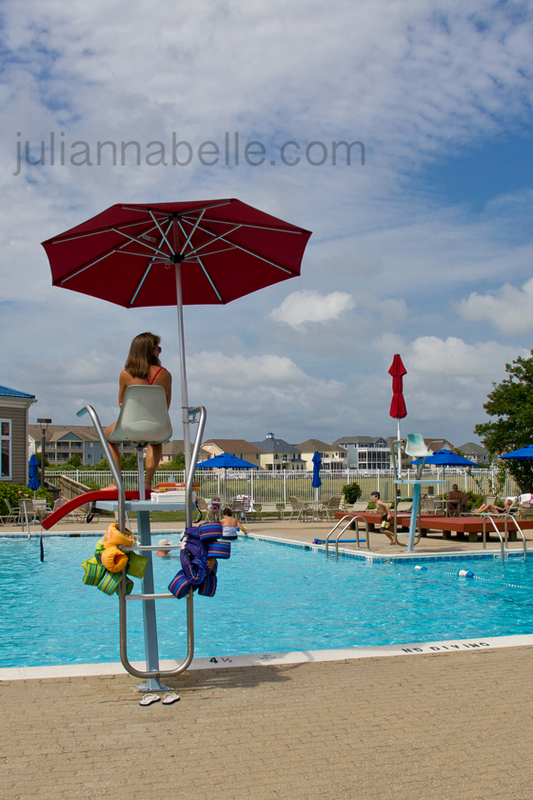 This is the pool in the condo complex where we stayed in Ocean City. Loved it. Julianna in the water wiggling her toes. 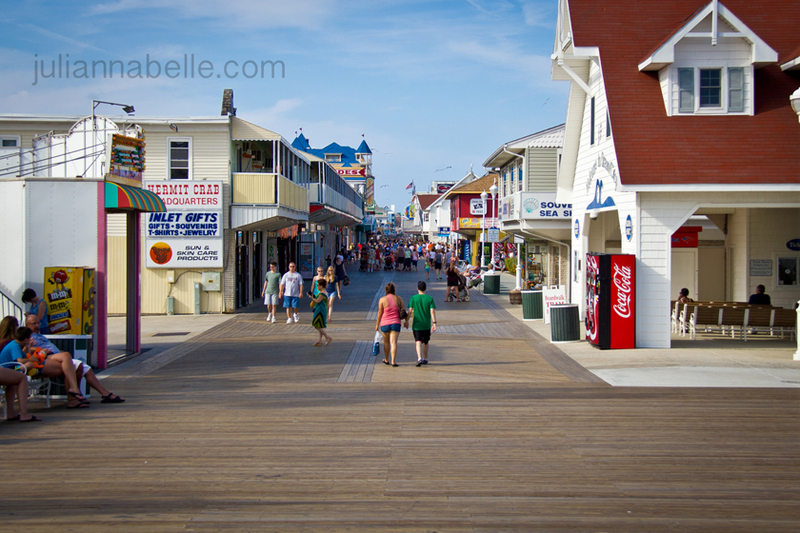 The Ocean City Boardwalk - It was huge and we loved it - spent 5 hours there one night just strolling around, eating Thrasher's famous french fries, dinner at Hammerheads, drinking Ice Cream milkshakes, going on the rides, shopping ... and so much more! The kite shop flies all of their kites during the day- Pretty Neat! 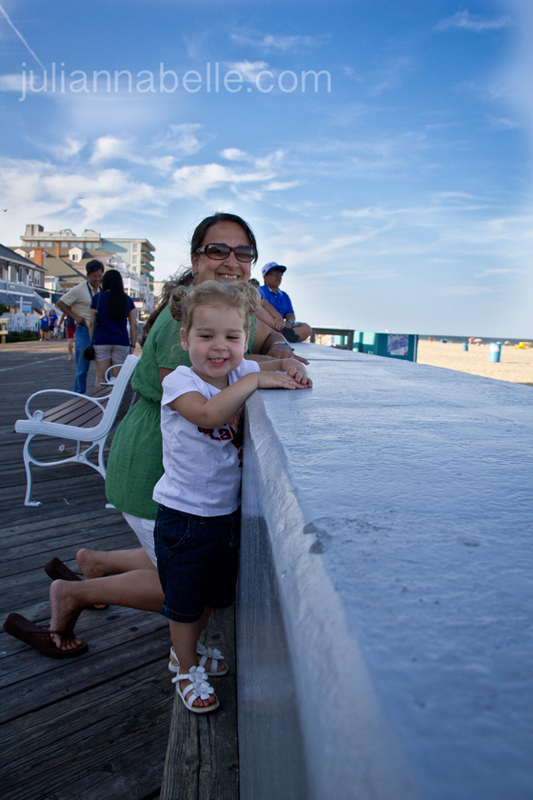 Looking at the beach over the wall on the boardwalk! 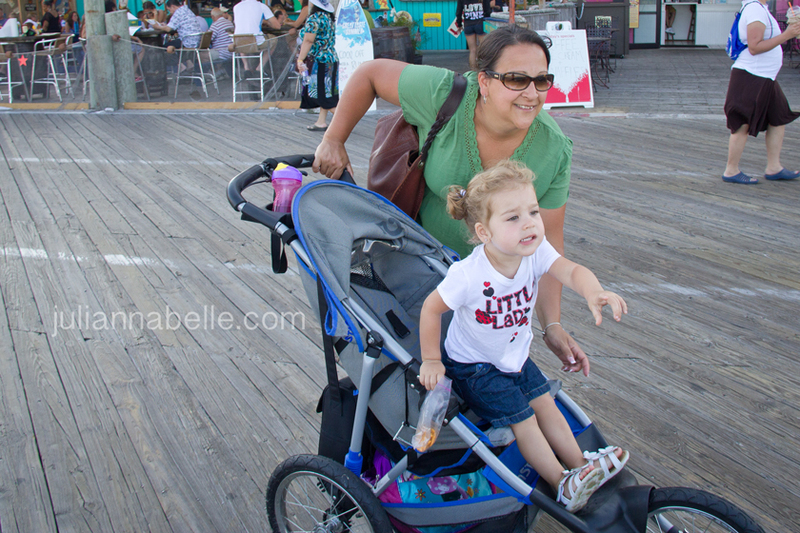 Happy Girl loved the boardwalk! 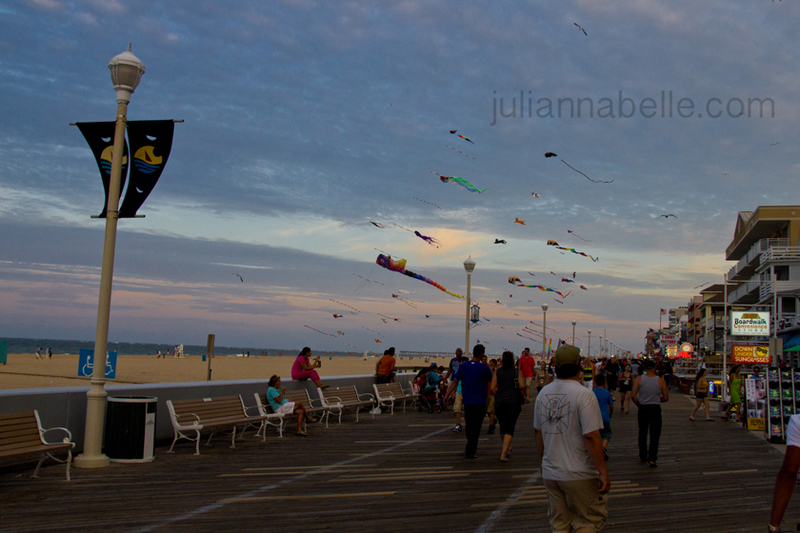 Kites & boardwalk at sunset. We lucked out with such pretty sunsets at night - we got so many pinks, blues, oranges & purples every night. 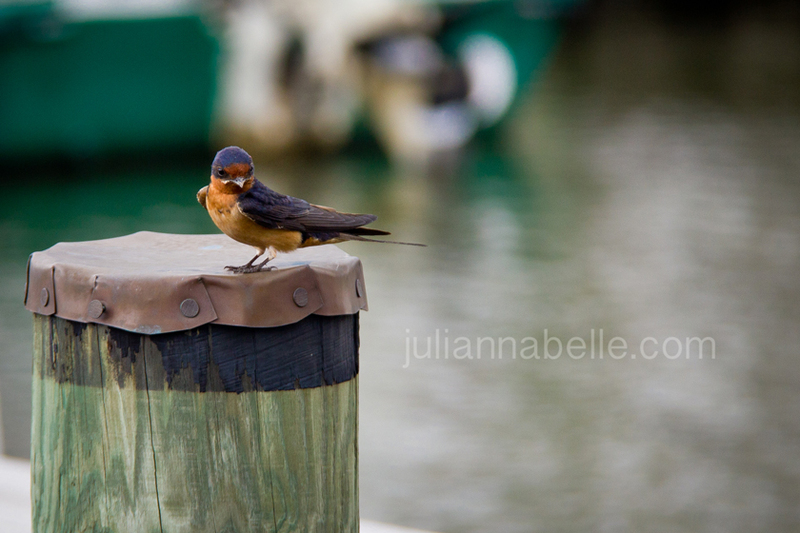 I thought this was a Baltimore Oriole but I looked it up and it's a Barn Swallow! 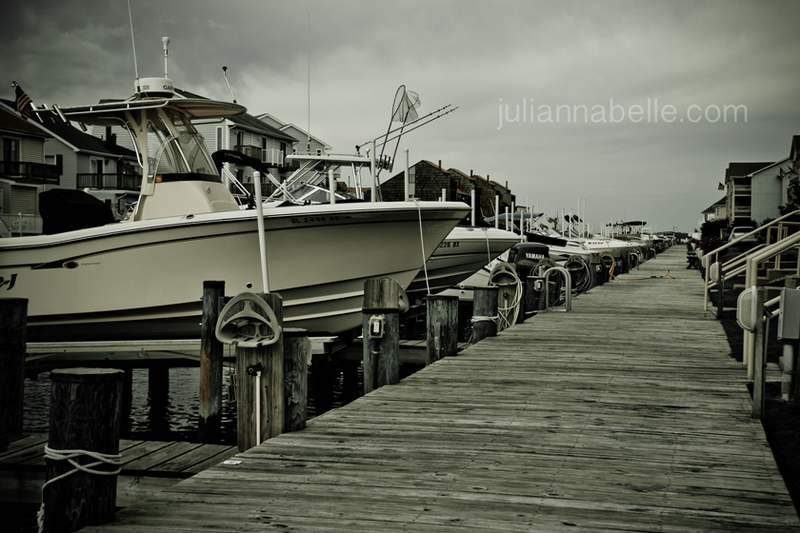 I never saw one up close- they were hanging out down by the boat docks. Squatting to pick up a flower ... she said "Oh no - boo boo!" about the flower because it fell off of the bush. I love them all. Great pictures! Ocean City should give you $ .....you make it look fabulous!! Aww thank you!! :) It was fun! All the photos are great, but I think my favorite is the second to last one. Julianna is so pretty. Thank you melissa! 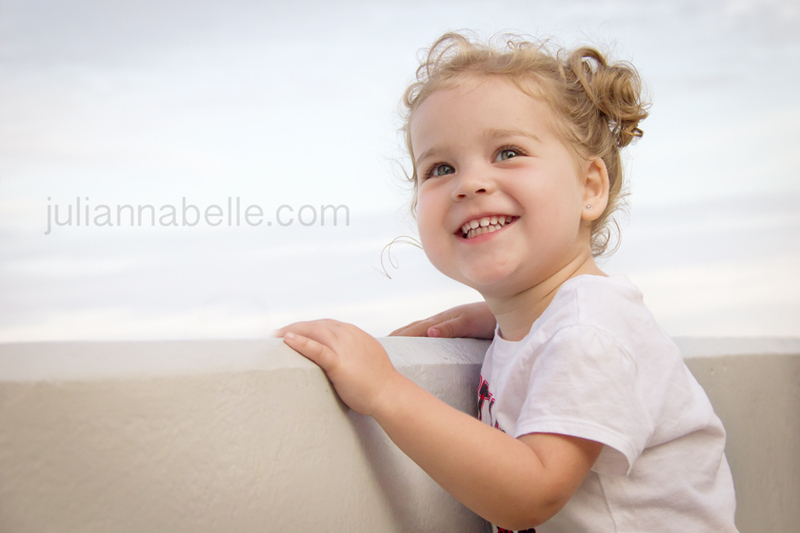 :) She is a good model – she is used to me chasing her around with the camera like crazy mom! Fabulous shots! 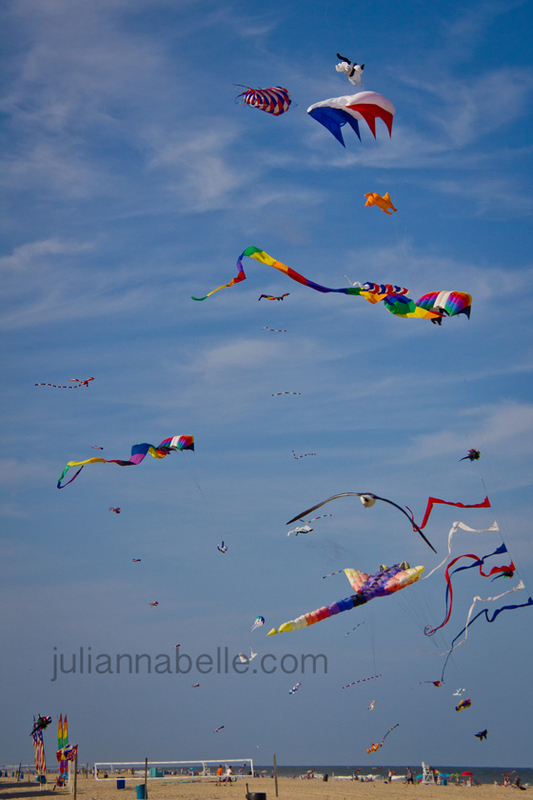 I love the boardwalk and the kites. And that bird--wow! Thank you for the compliments back too! I just could sit and take pictures of Julianna all day but I'm sure you feel the same about your Jax! :) They are awesome models too which doesn't hurt! Beach Geese~that is so funny and smart of her to make that association! we went to the beach this past weekend and she was talking about and watching the beach geese all day long - too funny! Kids are great. She was staning up on the chair at lunch and saying "Hi" to the ones next to the table outdoors - so cute!